Eat Healthy On A Holiday: Shilpa Shetty Kundra Shows Us How! Shilpa Shetty Kundra was celebrating her husband Raj Kundra's birthday this weekend, in Bangkok, Thailand. Here's what you can learn from her eating habits while on vacation! Shilpa Shetty Kundra is on a holiday in Bangkok, Thailand. Shilpa showed us how to eat healthy even while on a vacation. Shilpa Shetty Kundra is usually known to be her happy, chirpy self, no matter what she's doing, but this weekend the fitness icon has was especially pumped as she celebrated her husband Raj Kundra's birthday. The binge queen posted numerous pictures with her husband and son while on a celebratory trip to Bangkok, Thailand. Obviously, there was a lot of food involved too! 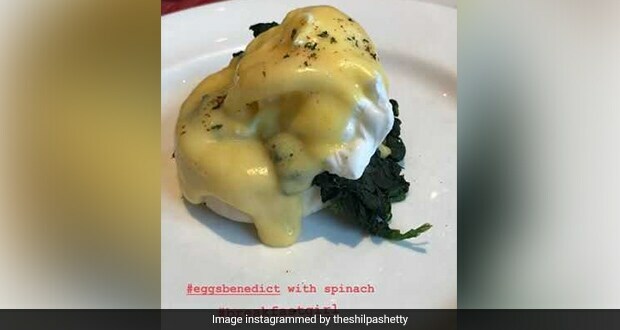 Shilpa Shetty's Instagram timeline looked like a complete treat itself with all the pictures and videos of delicious-looking food, and it looks like the diva won't even have to put in extra effort at the gym once she's back, because believe it or not, most of those treats were healthier than your regular 'healthy meals'! From birthday cakes to sticky rice with Thai mangoes, it seems like Shilpa Shetty went all-out to celebrate her husband's birthday in Thailand. Shilpa Shetty posted her customary Sunday binge video with her indulging in some black sticky rice with bright yellow and juicy-looking Thai mangoes. Shilpa called the sweet dish her 'most favourite dessert', saying that she chose the black sticky rice from among other varieties, as these were the healthiest among the options. 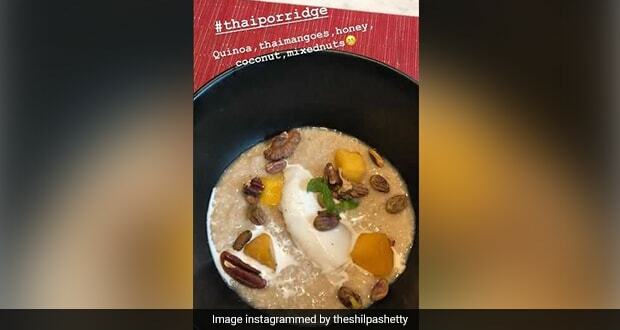 On Shilpa Shetty's breakfast menu in Thailand were delicious-looking quinoa porridge with honey, coconut meat and mixed nuts, and eggs benedict with sinach. Shetty, who is a fitness influencer, has always stressed on the importance of having a filling and healthy breakfast. A number of health experts and dietitians also agree with Shilpa about breakfast being the most important meal of the day, as it keeps you full and energised throughout the morning. Well, we guess we may have learned a few tricks on how to eat healthy while on a holiday from Shilpa Shetty!